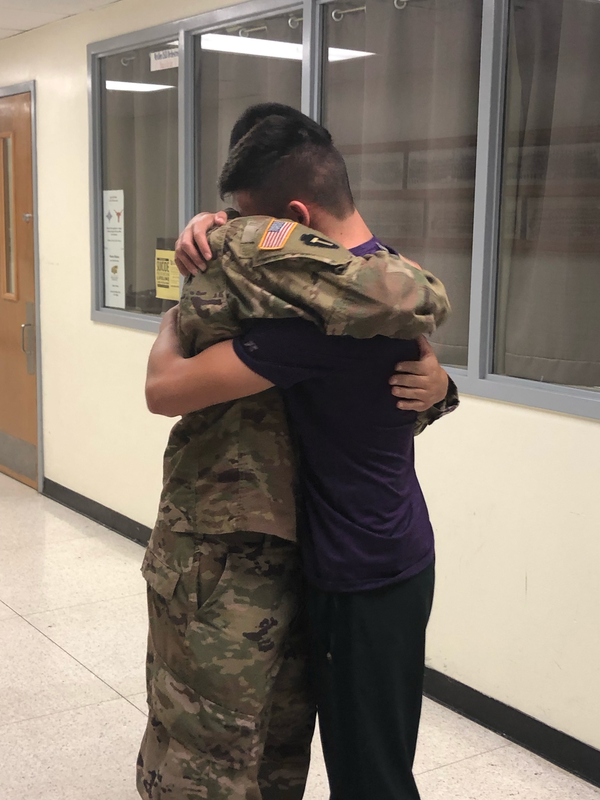 He had not seen his brother in over a year while big brother was in Africa serving with the US Army. Jacob is a band member and football player at McHi. His parents were on hand and beamed the whole time. The entire staff has reacted with what joy it brought them to see them reunited.